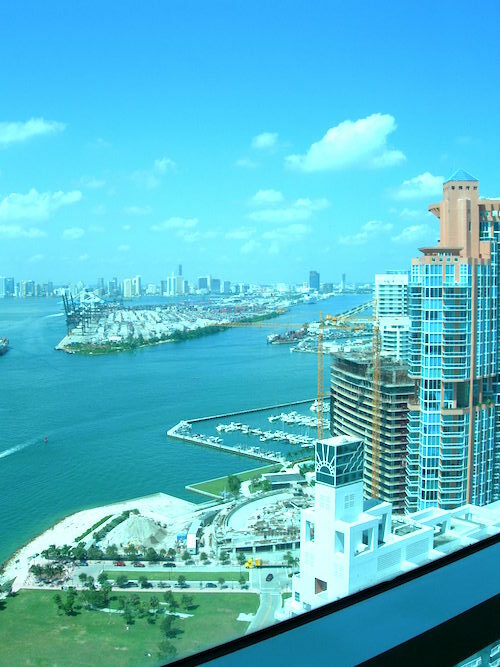 Buyers wanting a piece of Miami real estate of course have many choices. Price point can and usually is the the primary driving factor coupled with ones absolute wants and needs. $1 million price point might buy a studio with direct ocean views in Miami Beach, a two bedroom on the intracoastal in Miami Beach or a 2000 square foot direct ocean 3 bedroom spread in Hollywood. Many of our clients need space. Buyers looking for second homes may have either a family now or anticipate their grown children to visit with their families. If a buyer needs several bedrooms, prefers a newer building and wants to get the most for their money, consider the idea of intracoastal views as opposed to direct ocean views. The price per square foot will be considerably less than direct ocean views. I must add that the views of the waterway activity on the intracoastal are so interesting day or night. Certainly there will be more waterway activity than you will see on the ocean. In any building with the footprint of the building on the sand, west views to the intracoastal will be priced noticeably less than direct ocean views. The Blue and Green Diamond at 47th and Collins would be a good example of the price differential from direct ocean and west views. Recently a 1550 square foot 2/2 with south views that offered great intracoastal views as well as some ocean views closed at $1,270,000, $819 sq.ft. A comparable direct ocean condo sold for $1,657,000, $1,083 sq.ft. In this example the premium for direct ocean views is about 25%. All along the coast in South Florida in oceanfront condominiums the differential will be significant. The point is that in South Florida with the beautiful sunny warm weather there are fantastic alternatives to direct ocean views and that option will offer the buyer more for their money. This entry was posted on Saturday, October 11th, 2014 at 10:00 pm	and is filed under Deals. You can follow any responses to this entry through the RSS 2.0 feed. Both comments and pings are currently closed.